As a professional who cares for childbearing losses and as a Catholic who believes in the sacredness of life, I pay very close attention to how the media treats the subject of childbearing and loss. I am endlessly frustrated that the mainstream media has a near black-out on the topic of perinatal death. Over 50,000 babies between 20-weeks gestation to 28-days of life outside the womb die in the US every year from natural causes, not because of abortion. But you would never know it from the mainstream media. Enthusiastic prolife supporters assume the original writer got the story right and being eager to “inform” others click “share” without understanding the flaws in the story and the misinformation get regurgitated over and over again. This does not help the pro-life cause at all because it “arms” people with seriously flawed arguments, especially on the topic of babies who are born extremely premature. 1) We fall into a dangerous trap when we are tricked into defining 24-weekers as more important and precious than 20-weekers because they have the possibility of survival. Isn’t a main pillar of our belief that they are equally valuable? 2) When people overzealously use the “viability” argument of extreme exceptions—exceptions which are at best extreme statistical outliers and at worst fabricated legends—and present them as reasonable expectations. 3) When people toss around the “24-weekers-can-survive” idea so freely that people mistakenly believe that 24 weeks is “home free” for the baby. Being born at 24 weeks is a serious, dangerous medical condition that is harrowing for the baby and family, and even with perfect medical care nearly half do not survive. For those who do survive it, we rejoice, but we must never consider it in any casual manner. I have read pieces written in the conservative media that use this second error to argue that aggressive treatment should be given to 21-week gestational-aged babies with the idea that they might survive. The trouble is, there are no treatments for for 21-week preemies – it is an unsurvivable condition. 21-22 weeks is always unsurvivable and most of the time 23 weeks is unsurvivable* – assessing the possiblity that a trial of care is an option for a 23-24 weeker is complex, and requires the expertise of a neonatologist. So for the infants born at the edge of viability (23-24 weeks) where there is any chance or question of survival, most often (with good communication & collaboration between parents and neonatology staff where both aggressive and palliative care are offered) they get a trial of full neonatal care. It is still impossible to tell from the start who in this group is too premature to live and who will survive so a significant group of babies who get full and thorough care still do not survive. This is, again, a group hardly ever mentioned in the media. 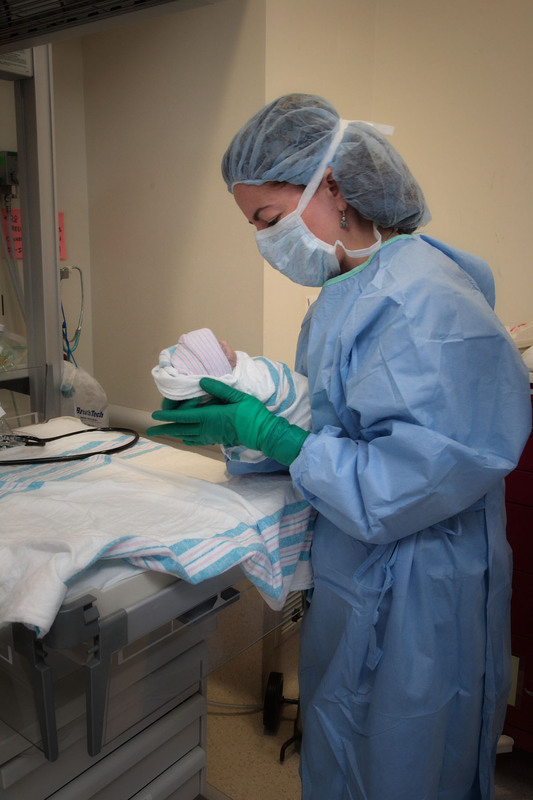 Neonatal doctors and nurses are getting really good at transitioning theses babies to competent palliative care once it is clear they cannot survive. The harm is that it misleads pregnant mothers and fathers. If it is bandied about in the conservative media that ~21-week babies survive, when their moms come into the hospital imminently delivering a baby this small, they have been told that a treatment is available that simply does not exist. It is genuinely irresponsible and cruel to tell the childbearing population that babies born at 21 weeks have any chance at survival. I have seen this sad situation more times than I would like to recall. The neonatologist professionally and thoroughly explains the limitations of neonatology and how the medical professionals will provide comfort care in preparation for the baby’s death, and the family is (understandably so) shocked and befuddled after that conversation. Nurses like me are then left to reinforce what was communicated and to review the plan of care. What already is a horrible, painful, and agonizing situation for these parents is made more horrible, more painful, and more agonizing by the media who only told them about “miracle babies” and nothing of the tens of thousands who die. The exaggerations also harm the medical community. There was a story widely circulated in the conservative media about a 21-weeker born in Britain a few years ago. The baby was born alive and the mom mistakenly believed that if the baby were born alive that he would surely survive if only neonatal care were given. The hospital staff were derided in all sorts of ways in the articles and unfairly accused of injustice, incompetence, & apathy. Perhaps more destructive than simply maligning people (who have committed their lives to caring for sick babies) is that this misinformation leads to families developing a distrust of those who are caring for them. In reality, that NICU staff did nothing wrong. This story was a perfect example of the very sad truth that some babies are born alive who are simply, sadly too premature to survive. If this is something you never knew before reading this article, then our society has failed you as badly, as I fear it has. People are already under-informed about this profoundly important topic and, therefore, it is crucially important for people to understand the full truth about it. There is a danger, a real danger, in making points based on extreme exceptions. If you search this topic, you may find 3 cases of reported 21+ weeker survival in the entire world over the course of about 20 years. In that same time, hundreds and hundreds of thousands of premature babies that age died. 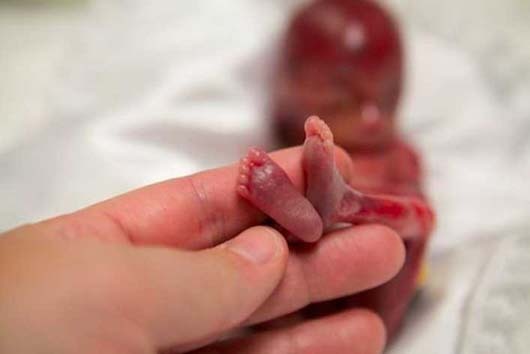 A few years ago, I received an email solicitation from a very respected prolife organizarion who made an impassioned plea that we should “save” babies born at 21 weeks. This email went out to tens of thousands of people. I know the very capable and respected Physician who consults for them and asked if he was given a chance to review this “information” before it was disseminated and he said they never contacted him. I contacted the group and explained the scientific inaccuracy (claiming there were accepted treatments for 21 weekers). They never corrected or retracted their misinformation and even though I am a person of their same faith tradition and a professional who works with this population, I would describe their attitude toward me as rather disrespectful. When our society is courageous enough to openly and somberly learn about the unimaginably difficult reality of perinatal death, we may come to value life even more because we will value even the most precarious and fragile lives that do not survive the valiant attempts to give them a chance at a full life. I ask my pro-life friends to commit themselves to understanding the realities of these complicated situations and not to make things worse for families by perpetuating misinformation. The argument for life is real, complete, compelling and needs no exaggeration. Babies are all miracles and they are all precious, not just the ones who survive extreme premature birth. *If you are a Neonatologist or Perinatologist and believe I mischaracterized any of the facts here, please correct me so that I can relay the most accurate data possible. If you try to correct me with an article from Lifesitenews, I may go running and screaming through my house in profound frustration and/or go completely insane. Prior to speaking out publicly on this topic, I contacted a devoutly prolife Catholic Neonatologist and asked if there were some new developments out there that I was not aware of and she not only said “no”, she also said that based on the poor outcomes with 23 weekers, her and her colleagues were getting away from aggressive care for 23 weekers and considering them mostly a palliative care cohort.